If you’re considering volunteer work on your career break, there are some definite pluses for keeping it close to home. You may be sacrificing the experience of an exotic destination; but being home-based comes with its own set of advantages. Here I explore some of them, plus my own experiences volunteering from home in the UK. If you’re not fluent in another language, keeping it local means no language barrier. And no language barrier means you can consider a wider range of roles. It’s easy to try out organisations or roles before making a longer commitment. There’s also often flexibility about hours, so you can volunteer for – say – a few hours a week. 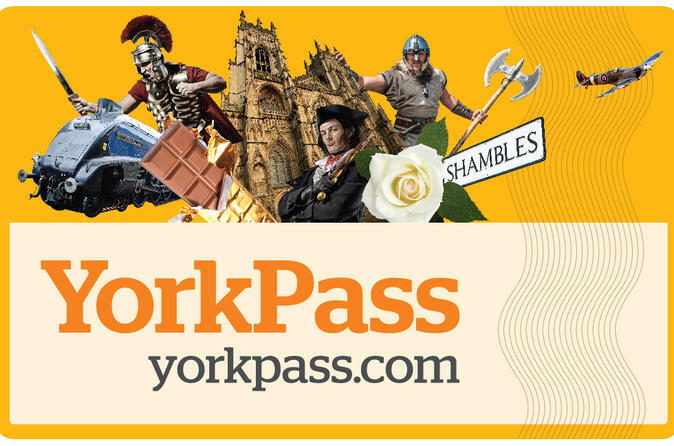 Ideal if you want to do paid work alongside your volunteering. It’s free. Many overseas volunteer placements of less than six months duration have a charge associated with them, to cover things like accommodation and food; or a donation to the host programme. Volunteering from home means you’ll have your usual general living costs, which – if you so desired – you could cover by doing paid work alongside your volunteering. You’re helping your own community. Apart from the feel-good factor that brings, and the potential for seeing long-term results first hand, it can also provide you with a new local network. Volunteer anywhere and you’ll grow your network of friends and professional contacts; but if you do your volunteering from home, it could be your local network for life. As well as doing good locally, the organisation you’re working with could be recruiting for paid roles in the future – Emma in Marketing or Alan in Accounts could become your post-career-break boss. I’ve been volunteering from home (the UK) since the start of May. One of the world’s biggest annual sporting events – the cycling phenomena that is Le Tour de France – was on my Yorkshire doorstep on 5th & 6th July. 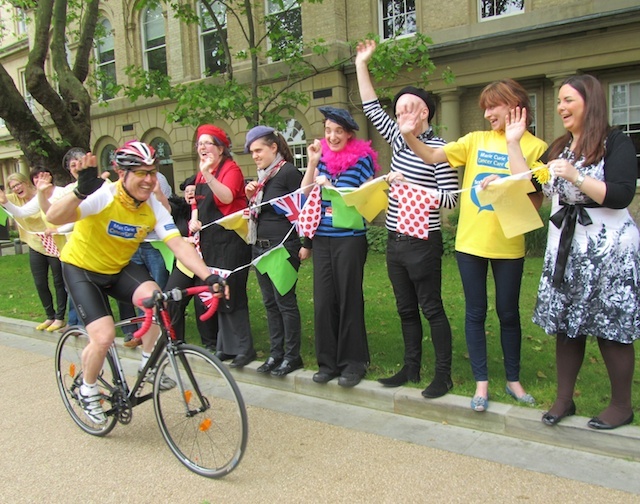 Thanks to the power of Twitter, I found a role with Marie Curie Cancer Care, the official charity partner of the Grand Départ (as the start of the Tour is known) in the UK. I typically volunteer with them about a day to a day-and-a-half a week. Here’s how it’s worked out for me. I’m helping with PR & Marketing and – whilst I can sort myself out a bed/food/bus and comment on the beautiful view in Spanish – it’s hardly the kind of fluency where I could talk to the press and write marketing plans to help with fundraising activities. Being able to communicate well in English is a definite advantage. I tried another role first, working with another organisation on a charity event. I wrote a sponsorship package proposal that was well received, but the help they needed beyond that didn’t match my skills or the hours I had available. I simply wished them well and looked for other volunteering roles. Volunteering from my home country and part-time means I can build this website from the comforts of my own home / local café, and with access to local courses and resources on my doorstep. Although it wouldn’t be impossible, I think this would’ve been much harder to do at the same time as volunteering abroad. My previous marketing and PR experience was in the private sector, so it’s been great personal development to get experience in the charity sector. It’s good to have variety on my CV for future job prospects too, if ever I need to job-hunt in the future. I’ve already met some really inspirational people. People like Mike – the guy who’s raised £19,000 to fund a Marie Curie nurse for a year, nurses who care for terminally ill people and support their families every day. Cheryl – my boss at Marie Curie, who has made me feel so welcome and part of the family. And firemen. Just because. I got to take pictures of some after they raised some money for Marie Curie. What’s not to love? All in all, volunteering from my home country has been a case of right thing, place, right time. It’s suited my current goals and the time I have to donate. That said, who knows where future volunteering roles could take me? Have you tried volunteering from home? Would you recommend it more or less than volunteering in another country? What were your highlights?